Motivated Sellers!! Just reduced!! 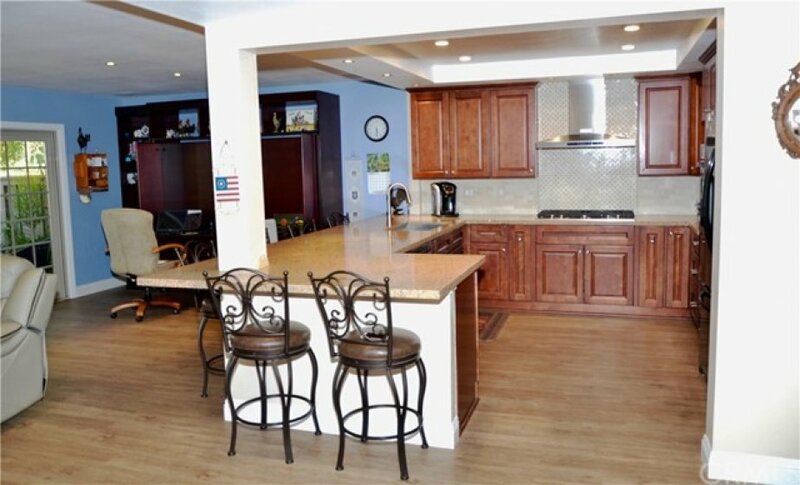 Absolutely Gorgeous and remodeled townhome in Guard Gated Community in Fairway Village. This immaculate townhome boasts approx 1963 square feet of living space and has 3 bedrooms and 3 bathrooms. This open and spacious floorplan has a bedroom and full bath downstairs. The dining room has a high vault ceiling and newly remodeled lighting, vinyl floors all downstairs but underneath are travertine flooring, Large and spacious kitchen with quartz countertops, beautiful cherrywood cabinets, all newer black appliances, murphy bed in the living area, spacious living room with fireplace. delightful master suite with attached full bath that has been completely remodeled, double vanity sinks in master bath and gorgeous quartz throughout in all bathrooms as well. Newer AC unit. Beautiful Patio with arch and greenbelt view. Laundry is located in garage of home. Ideal location tucked away toward the back of the property in a cul de sac street. Listing provided courtesy of Nicole Luther at Western States Financial.